Elizabeth Taylor lives on, through her jewelry. Jewelry owned by Taylor such as the Taj Mahal, a diamond tiara, and many other extravagant pieces, were sold for a whopping $116 million, December 13. Some of the late movie star’s jewelry was not only famous for being worn by her, but was also famous for being historic. A beautiful pearl hidden in the Gulf of Panama which was discovered in the 1500s, the La Peregrina, was given to Taylor by her once husband, Richard Burton. The La Peregrina was predicted to sell for two to three million dollars, instead it was sold for $11.8 million, which makes it the most expensive pearl bought at an auction, according to auction statistics. According to abcnews.go.com, Taylor’s love for jewelry grew when she bought her mom a costume brooch as a child. It took her a few marriages, and numerous hit movies to obtain her extraordinary jewelry collection. Taylor’s jewelry ranged from a green emerald and diamond pendant brooch, to a diamond tiara. Price expectations were far off during the auction. 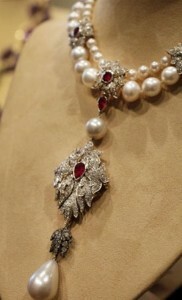 Taylor’s ruby and diamond necklace was expected to be sold for $200,000 to $300,000, but was instead sold for $3.7 million. According to nj.com, art, clothing, and memorabilia from Taylor who died March 23, 2011, will also be auctioned off. Some of the proceeds will go to the Elizabeth Taylor AIDs Foundation. To many Penn Manor female students, Forever 21 located in Park City Mall, is like a Taylor jewelry collection, because each piece is flashy and stylish. 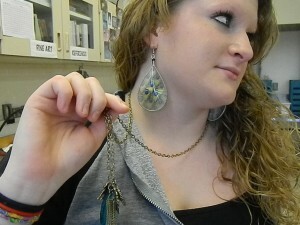 “I enjoy flashy jewelry on occasions, but I don’t like costume jewelry,” said Monica Hoffman, student at Penn Manor. “Forever 21 has really cute necklaces, so I typically get my jewelry from there,” said Hoffman. Forever 21 does not only have great jewelry, but many girls shop there for its clothes also. Forever 21 is like Taylor’s collection, beautiful jewelry, and beautiful clothing. 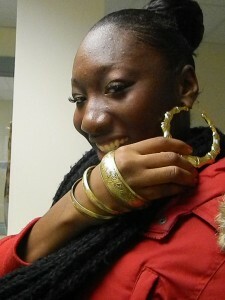 “I’m really attracted to flashy rings, which I typically get from Forever 21. 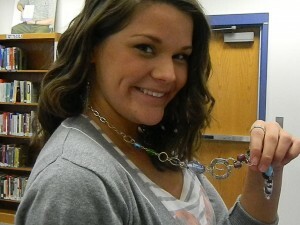 Their jewelry stands out, and they have great designs,” said Destiny Plaza, student at Penn Manor.